I just finished a MASSIVE redo of my Celebrate Chinese New Year pack. It went from 27 pages to 85+ pages! I am so excited to begin this in early Febraury with my students! 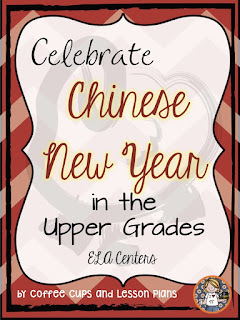 I love pulling out the activities that go with Chinese New Year because they are bright and colorful, and we always need a little cheer this time of year. 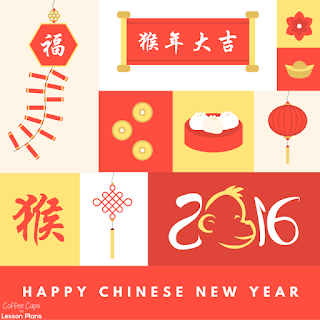 This year Chinese New Year begins on February 8th. I'm using my time off today to do a little prep work and planning. 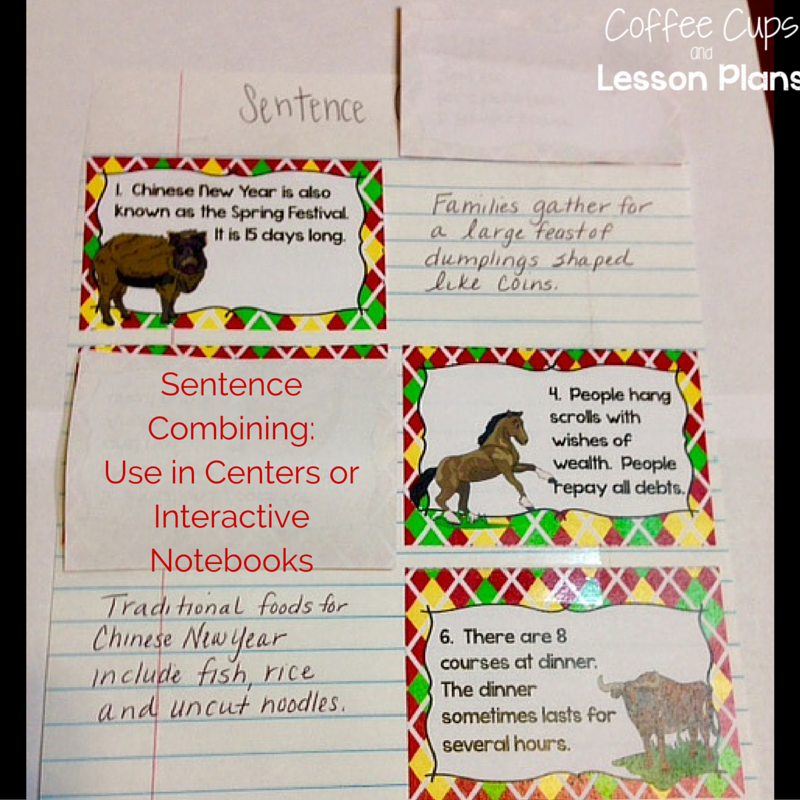 I designed this activity packet to help my students practice fluency, reading closely, and several grammar/language based skills that they seem to have trouble with. The packet now includes passages for all 12 animals in the Chinese Zodiac. Instead of having to re-write a passage every year I've now included all 12 animals and a calendar for animals through 2027. 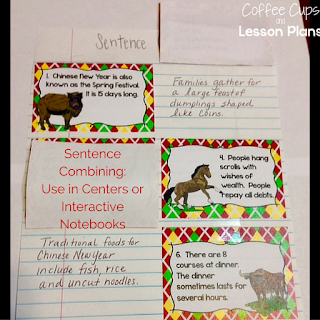 I use the language skills activities in my interactive notebook. I have students only glue down or tape the top part of each printed card. Then they complete the answer on the inside. 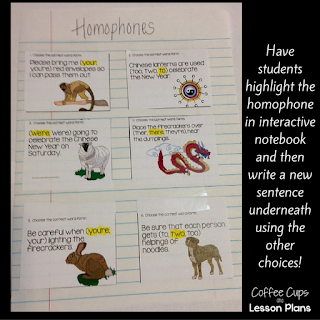 When I have students use the homophone cards I add an extra challenge and have them write sentences about the Chinese New Year for the other two homophones. 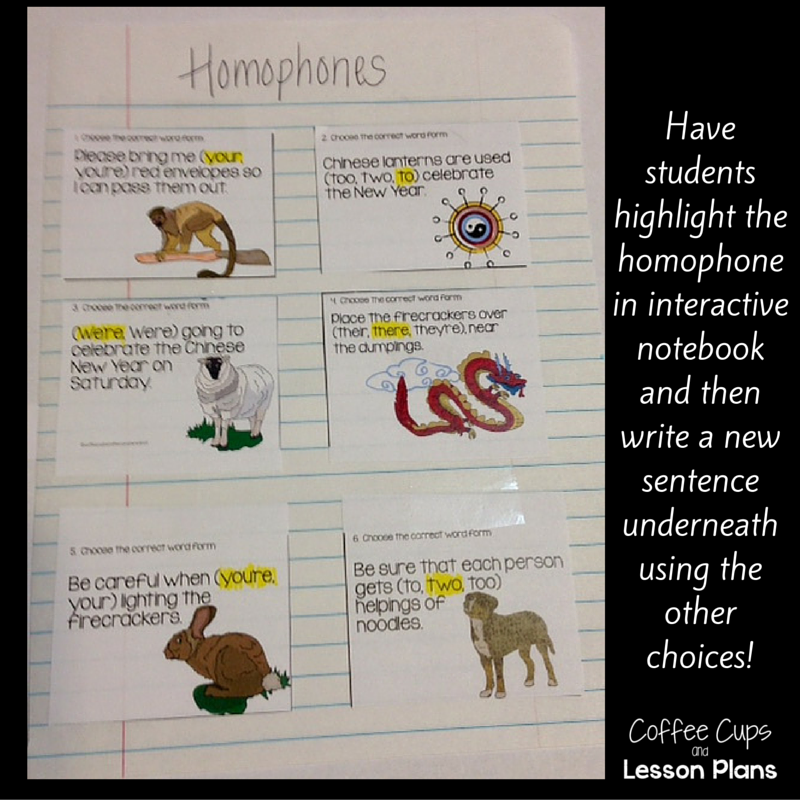 I also have them create challenging sentences for combining for fellow classmates. Many try to come up with the most difficult possible sentence, and I push my higher level students to use semi-colons as well. 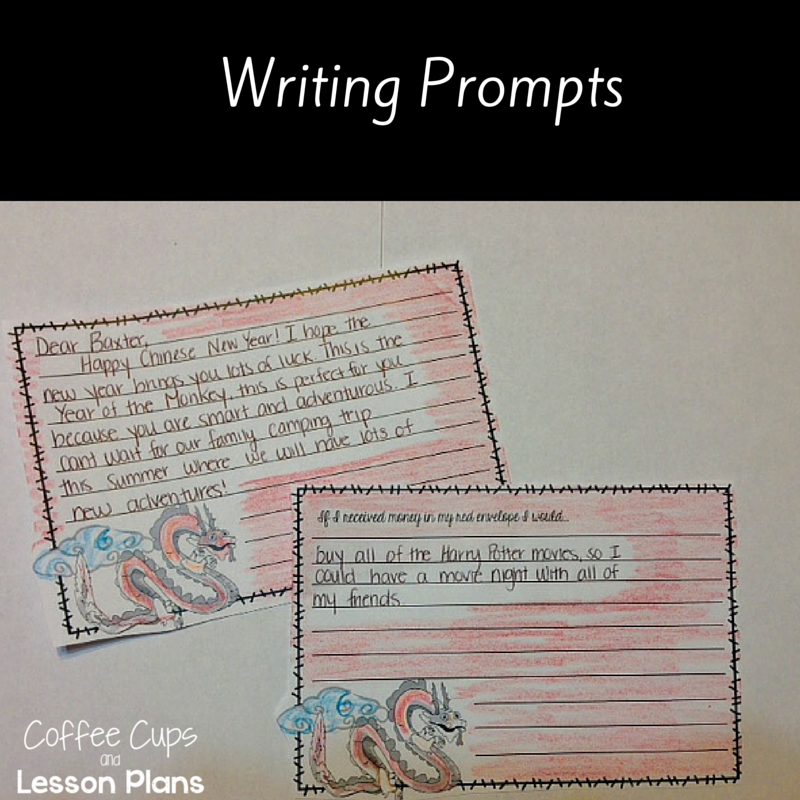 It's always fun to end the week with a little writing prompt. My students love to talk about the red envelopes that Chinese receive with money in them. Red symbolizes luck, so I've included a quick writing prompt asking students what they would do with the money. 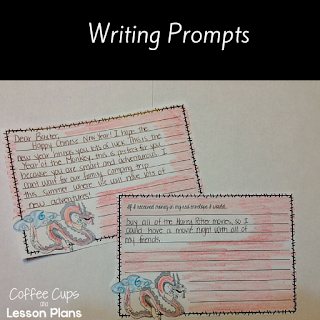 A second writing prompt digs a little deeper and asks students to wish a classmate luck for the coming year, and provide evidence that supports how a fellow student is similar to the current Chinese zodiac animal. I'm looking forward to some great discussion on character traits! Do you celebrate Chinese New Year in your classroom? I would love to hear about the skills and activities you incorporate! It's a Sale on Teachers Pay Teachers!